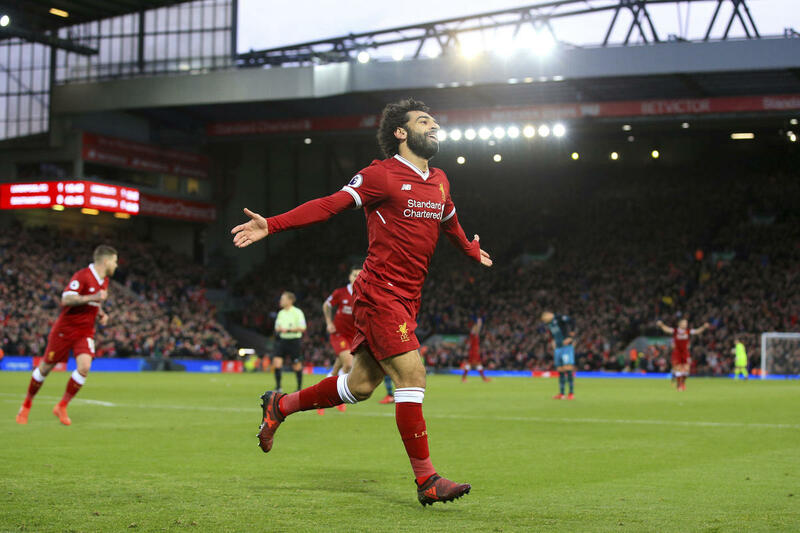 Egyptian football star and Liverpool winger Mohamed Salah has scored 30 goals in 36 games becoming the second fastest to reach 30 goals for Liverpool following George Allan, who scored 30 goals in 19 games back in 1895. In an interview to Liverpoolfc.com, Salah said that it is a ‘great feeling’ to have achieved such score adding that “there is more to come”. “I’ve said before, the players and the coaches here make it easier for you,” he added. “I play alongside very good players, each one has different qualities, and that makes it easier for me,” said Salah. “I am very happy to play alongside them; all of them, they have helped me a lot to score goals. I am very happy to be with this group,” he added. The Egyptian player is a source of happiness and pride to Egyptians and Football lovers. Liverpool fans’ have dedicated a special chant for Salah in celebration of his impressive performance and goalscoring strikes. On Twitter, a number of Liverpool fans chanted “if he scores another few then I’ll be Muslim too”. Salah has been crowned best left-foot in premier league history. With an already extraordinary season at Liverpool, Mohamed Salah jumped to the top of an elite list of goal-scorers.